Exports of sugar, both raw and refined, were the highlights of sales of commodities in October, according to the Brazilian Ministry of Agriculture. Proof of this is that the two products combined rose by 29% compared with the same period in 2011, with sales of U.S. $ 1.992 billion. The Ministry also informs that refined sugar was the one that had the most positive percentage in the tenth month of the year. Compared with the same month last year, the increases were 45% in value – which reached US$ 417.4 million – and 65% for volume (761,900 tons). 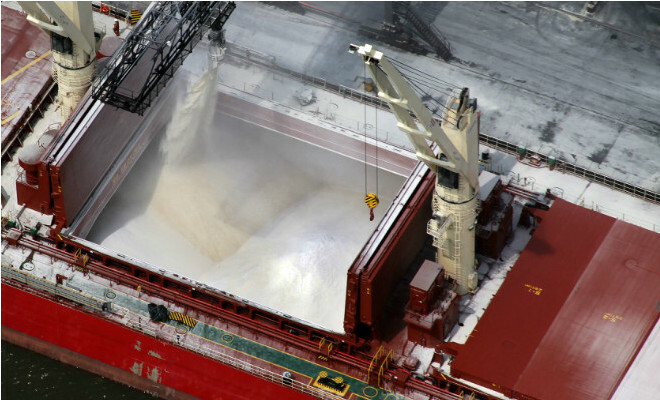 Exports of raw sugar increased by 32.2% in value, reaching $ 1.575 billion, and 54.6% for the total shipments of 3.171 million tons, says the Ministry.